In the wake of Mayor Daley’s surprise announcement that he wouldn’t be seeking a sixth term in office, a long-simmering dispute between the Chicago Police Department’s rank and file and its leadership—specifically Superintendent Jody Weis—has erupted into a full-fledged public war of opinion. Even as Daley continued to vouch for his hand-picked superintendent last week, at least one prominent candidate for Daley’s job said that he’d fire Weis if given the chance—and today the Fraternal Order of Police joined the fray, organizing a demonstration that criticized Weis for everything from his handling of police brutality cases to his decision to dress in uniform. The CPD is far from alone: tensions between the rank and file and the departmental brass are common in big-city departments, where street-level officers often feel that they are misunderstood, underappreciated, and even undermined by those back at headquarters. 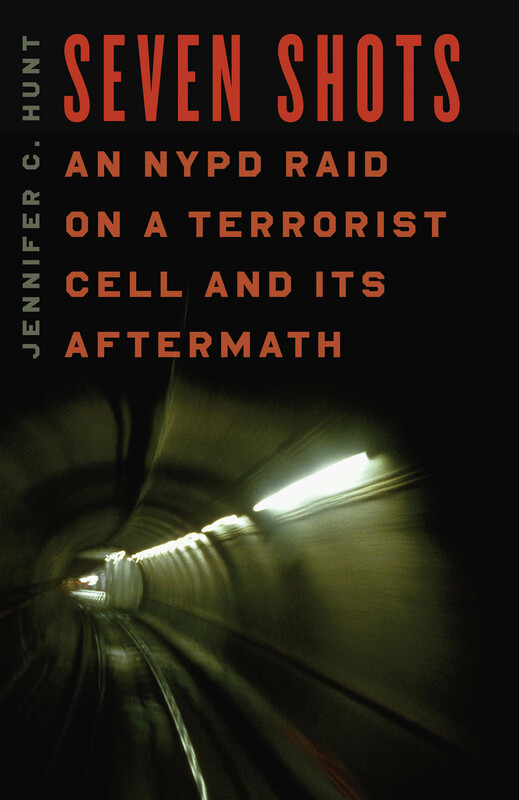 For a fine-grained look at that fraught relationship, you can’t do much better than Jennifer Hunt’s new book Seven Shots: An NYPD Raid on a Terrorist Cell and Its Aftermath. Hunt recounts the dramatic story of a daring raid that foiled a bombing planned for the New York subway in 1997—and then she goes on to tell how, . . . The BBC reports today that the United Nations’ Food and Agriculture Organization has released their annual report on global hunger. There is some good news in that the number of undernourished people fell between 2009 and 2010, but, at 925 million, that number is still “unacceptably high.” In 2001 the UN designated a 50% reduction in the number of hungry people by 2015 as one of its Millennium Development Goals, but achieving this goal has proven extremely difficult and many aspects of the crisis have worsened. What makes this problem so frustrating is that the world doesn’t lack for food—we have more than enough to feed every living person on the planet. But nearly a billion people continue to suffer from food shortages, unsafe water, and malnutrition. 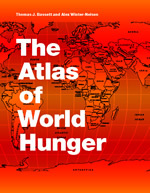 To understand why, turn to Thomas J. Bassett and Alex Winter-Nelson’s Atlas of World Hunger. The Atlas makes unique use of maps to provide both a comprehensive overview of global hunger—its multiple causes and long-lasting effects—and to search for solutions to it. You can take a look at a PDF excerpt from the book here. . . .
Roger Ebert is a man who needs no introduction—though clever pundits across America are certainly debating new taglines in light of his growing culinary expertise (from The Wind that Shakes the Barley to The Pot and How to Use It?). Early respondents to “Roger Ebert Presents at the Movies,” a new series from Chicago’s own WTTW, seem to agree on one thing: we want more Ebert! In the new show, Ebert takes a backseat to other critics—NPR’s Elvis Mitchell and the AP’s Christy Lemire, among them—introducing their views and serving as executive producer to the dueling critics format he made famous with Gene Siskel more than 35 years ago. Phil Rosenthal has a great piece in a recent issue of the Chicago Tribune that pines for a more Ebert-centered review program and gushes about the Great Movies series of columns and books, the most recent of which was published by the University of Chicago Press: Ebert is interesting, insightful and entertaining on almost any subject. But anyone who has heard his DVD commentary tracks for films such as Citizen Kane and Casablanca will attest to how it enhances the viewing experience. 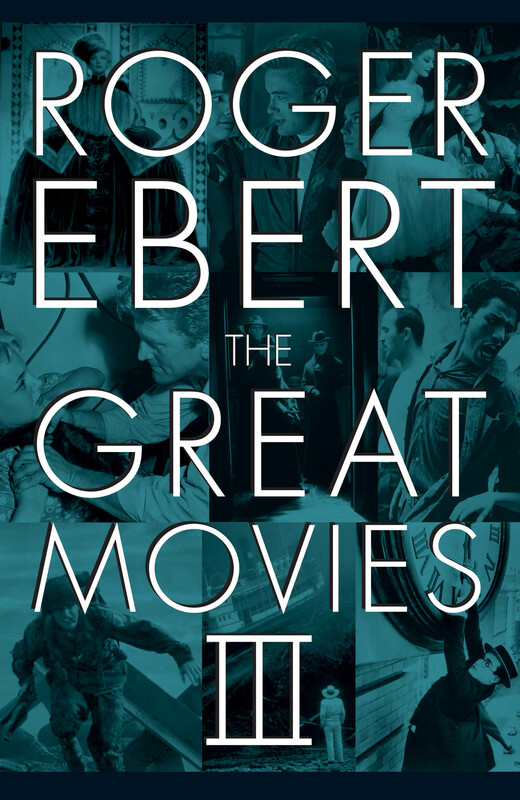 Were Ebert to adapt his “Great Movies” series of . . . In an article for the current edition of the New York Review of Books contributor Michael Tomasky delivers a timely critique of current legislative procedure—a topic that has been on everyone’s mind lately as November’s elections threaten to produce a gridlocked Senate, unable to swiftly pass legislation in a time when efficient government decision-making is so direly needed. Tomasky reviews several books including Gregory Koger’s Filibustering: A Political History of Obstruction in the House and Senate to help dispel several commonly held myths about senatorial procedure which, he argues, have little historical precedent, and greatly hinder its core functions. Among these myths, the notion of the filibuster as an integral part of the legislative process ranks high. While many believe the filibuster to be an idea sanctioned by the constitution Tomasky uses Koger’s definitive historical account of the subject to show that it is not: Of congressional rules, the Constitution says only this, in Article I, Section 5: “Each House may determine the Rules of its Proceedings.” As Gregory Koger points out in his impressively researched Filibustering: “The ‘right’ to filibuster in the Senate is based on tenuous precedents and informal practices. At no point did senators consciously choose to . . .
Press author Denis Alexander, director of the Faraday Institute for Science and Religion, has a piece up at the Huffington Post, as part of their new series of op-eds and commentaries, Religion and Science: A Contemporary Discussion. 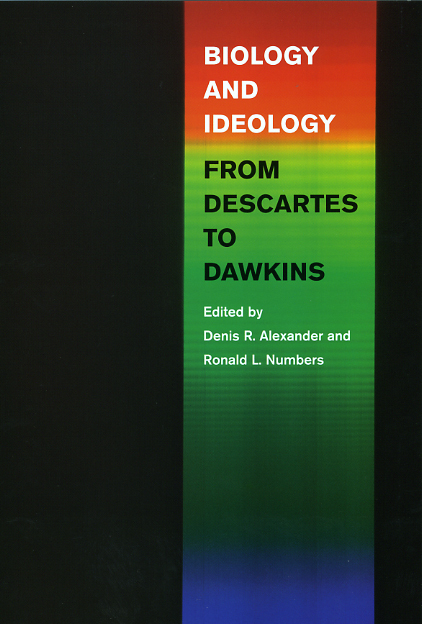 In considering the ideological uses of science, Alexander makes a striking point about how certain biological ideas have been put to quite opposite ideological tasks throughout history, by different nations and at different times. As he explains: The ideological uses of science very often become tangled up in the debate between science and religion. Theories that for the scientist do practical work in the laboratory to make sense of certain data, and help map out the direction for future research, can be deployed in the world outside for or against various political, social, religious or anti-religious agendas. In the process the science becomes socially transformed, the original meanings of words in scientific discourse conveying quite different connotations. Though Alexander makes use of the example of evolution, the world wide web has been agog with recent instances of this intertwining: philosopher Tim Crane’s post on The Stone blog at the New York Times, biologist Ursula Goodenough’s review of Stephen Hawking’s The Grand Design at . . . In an interview broadcast this morning on ABC’s “Good Morning America” President Barack Obama has added his voice to a growing number of top officials denouncing Pastor Terry Jones of the Dove World Outreach Center’s planned “International Burn a Koran Day“—stating that if the group really decides to go through with the protest, it would likely result in a “recruitment bonanza for Al Qaeda.” And while Obama’s words are likely motivated by a desire to put a stop to what amounts to hate-speech, it also might absurdly suggest that Muslims would be so offended by the foolish acts of a single fringe religious group that they would be willing to rush out to kill themselves and others in droves by way of retaliation. 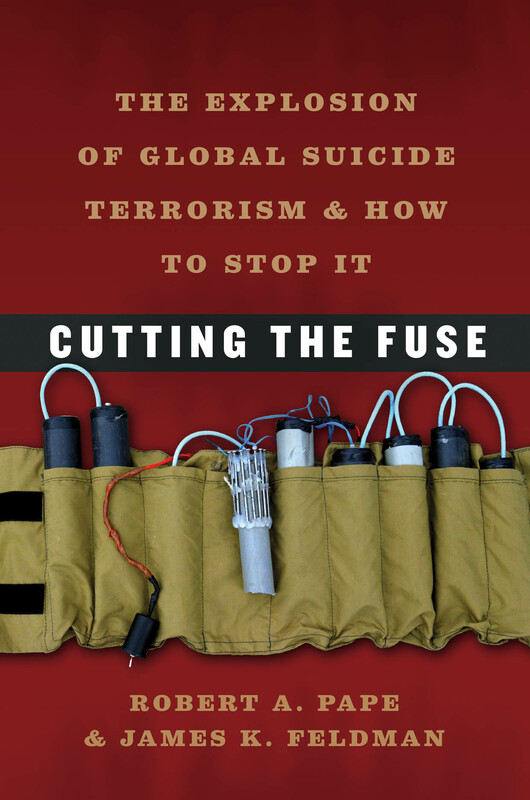 Enter Cutting the Fuse: The Explosion of Global Suicide Terrorism and How to Stop It—an insightful look at how suicide terrorists are really created and the best strategies combat them. In the book Robert A. Pape and James K. Feldman, two of the world’s leading experts on the subject, offer a close analysis of suicide campaigns by Al Qaeda and other terrorist organizations in Iraq, Afghanistan, Pakistan, Lebanon, Israel, Chechnya, and Sri Lanka, to argue that . . . In the day since Mayor Daley’s surprise announcement that he won’t be seeking another term, speculation has run rampant and the rumor mill has been pulling twenty-four-hour shifts. So we thought we should be clear: unlike seemingly every other resident of our fair city, the Chicago Blog will not be running for mayor. 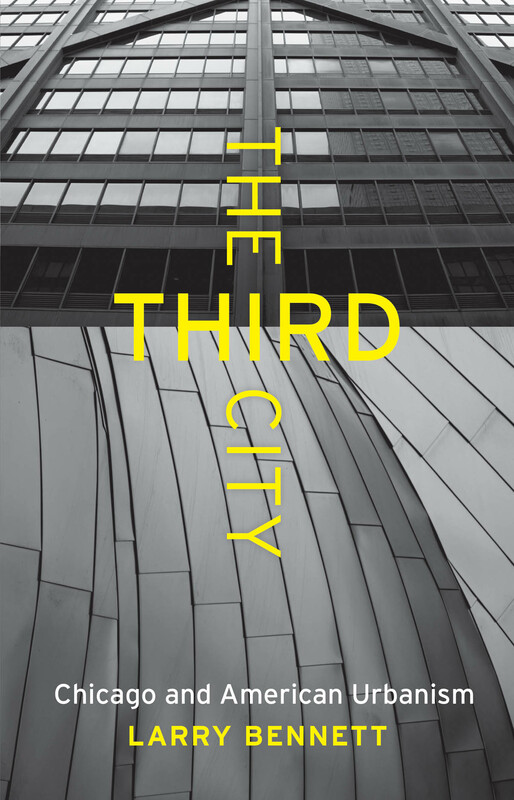 Sure, we’ve got more than a century of accumulated knowledge about the City That Works (and how it works). And no candidate can come close to matching our backlist. But the rough and tumble of politics just isn’t for us. We’re more contemplative. Bookish, you might say. 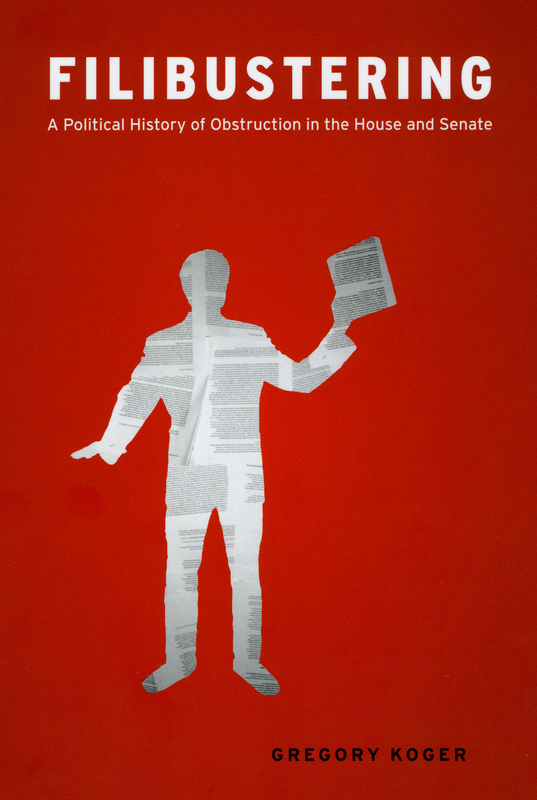 That doesn’t mean we don’t have some recommendations for those who are throwing their hats in the ring. First up are some good starting points for assessing Daley’s legacy—if you want to replace the king, you ought to take a close look at the crown first. Larry Bennett’s brand-new . . .
Over the last decade or so digital content archives like JSTOR and Project MUSE have become indispensable resources in the academic community, allowing students and professors to easily sort through and access literally tens-of-thousands of journal articles with the click of a mouse. However, for those working with scholarly monographs and other book-length works, usually a trip down to the library and more than a few minutes spent digging through the stacks has been necessary. But an article in this morning’s Chronicle of Higher Education points out that this may be coming to an end. According to the CHE “Next year, Project MUSE plans to expand beyond journals into digital monographs with a venture called MUSE Editions. And JSTOR is having its own conversations with press directors about the feasibility of its building a mechanism to get scholarly e-books into library hands, as it already does with journal content.” But the word is still out on whether full-length e-books have as bright a future as journal articles on library platforms like JSTOR. 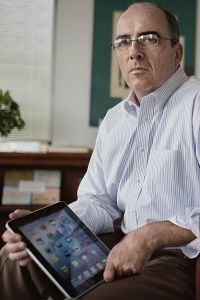 The CHE article cites Kiely remarking that “eighty percent of Chicago’s e-book sales last year . . .
As their summer vacations end and the midterm elections approach, reporters and commentators have begun to ramp up their political coverage. With strong Democratic majorities in both houses of Congress as well as control of the White House, these elections are, not surprisingly, being viewed as a referendum on the majority party. The efficacy and success of the 111th Congress can be judged in a variety of ways, but in these discussions one issue always comes into play: the filibuster. This summer George Packer’s widely cited article on the Senate (from the August 9 issue of the New Yorker) brought the topic to the forefront. Packer painted a dismal picture of a governing body hamstrung by the need for a sixty-vote majority to pass any legislation, prompting the question, how did we get here? The answer can be found in Gregory Koger’s history of the filibuster, Filibustering, the definitive study of this method of obstruction. At the recent annual American Political Science Association meeting, Koger convened a panel on the topic, featuring speakers such as Ezra Klein of the Washington Post and Brian Darling of the Heritage Foundation. You can watch a video of that panel over on C-SPAN’s site . . .
More television coverage of Royko in Love: Mike’s Letters to Carol. Last night David Royko sat down with WLS-TV news reporter Janet Davies: . . .